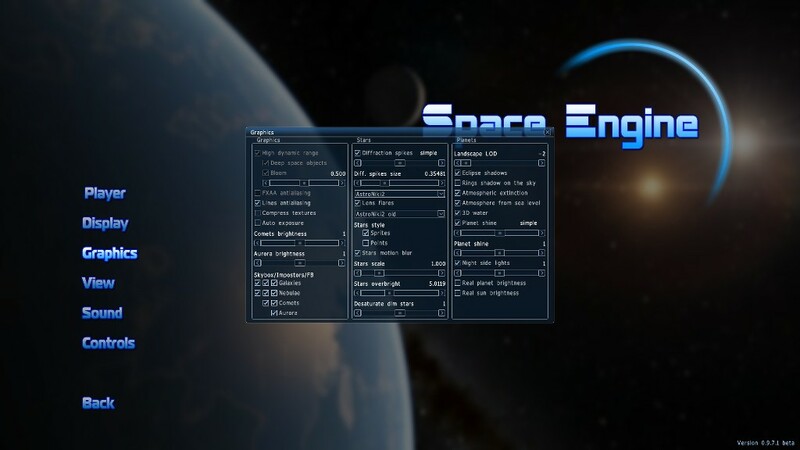 I have some trouble with adjusting the graphics settings for Space Engine, latest version. It has been some time since i have used SE, but when i was gonna try it, something went wrong with the graphics settings. I can't adjust some of the settings for the stars quality. High dynamic range has been disabled, FXAA antialiasing has also been disabled, and with the diffraction spikes for the stars quality can't be higher than simple, or SE is crashing. Except, for the diffraction spikes, i can't activate high dynamic range and FXAA antialiasing. I have a powerful system, so i should be able to run SE on the highest. You see my system specs in the signature below. The trouble is with the latest Nvidia drivers. This has been discussed ad nauseam in the troubleshooting thread, which is also where you should have posted this, as you should know by now. Anyway, I plan to make a dedicated thread specific to this issue since it's so significant. Sorry for that. Actually, i sent a message to you, with the exact same i wrote here, but you never replied it. I sent that message last month to you. Is there a way to make the setting "exposure" (F7 dialog) to be permanent and not to default to 1 every time SE is launched ? I could not find it in the universe/main/user cfg's.